We hope you'll find something here that interests you. Be sure to check back because we'll be adding different items in the future. USPS or UPS mailing rates. Designed by Painted Pony 'n Quilts owner, Sherrie Thomas, this beautiful hand-cast sterling silver necklace was specially designed and created as a tribute to all quilters. The design features a Star-in-a-Star quilt block on one side, and a lovely rounded heart-in-hand on the other, with an applique leaf vine joining the two on both sides. The bale is a replica of a tiny thimble. The clanger post is a needle with a tiny spool of thread on the end. 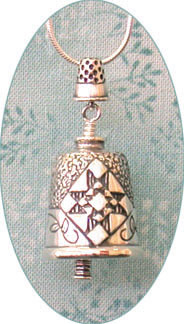 Last, but not least, this little bell makes the sweetest sound! Bell measures approx. 3/4" tall, and comes with a 22" sterling silver snake chain. "Heart & Hand, the quilter's symbol. From the heart & thru the hand, the quilter creates a tangible expression of her love. The quilt becomes a cherished legacy of the quilter's life, warmth, talent & artistry. Like the quilt, the bell is a precious gift that can be shared with generations to come." This stunning quilt was inspired by the famous Caswell Carpet which resides in the Metropolitan Museum of Art in New York. 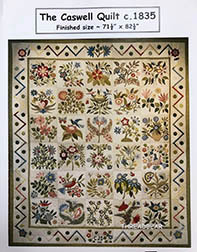 Thirty appliqued blocks of flowers & leaves, birds & butterflies adorn this quilt. Pattern includes full size blocks and individual color photos of all blocks. This is a novelty printed panel that can be sewn into any project, tote, or quilt! 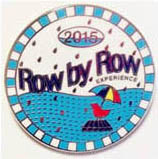 A great collectible, or a fun gift! printed image area = approx. 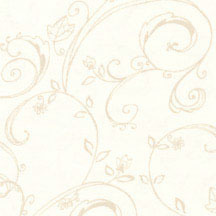 7.25" x 3.5"
100% organic sateen cotton; washable in gentle cycle with mild detergent. A backpack pattern by Heather Bailey - fairly simple, and very cute! Perfect for the young teen, or young-at-heart, to wear while shopping at festivals or the mall. We chose some fun, bright fabrics, and have fussy-cut the beautiful Kaffe Fassett floral print for the front pocket. Backpack is also lined. We made our sample with a lightweight fusible on front and back panels for added sturdiness (not required, and not included in kit). The kit includes pattern and all fabric needed to complete the backpack. Buttons are not included. 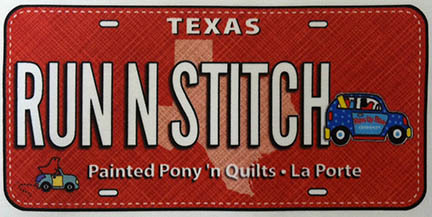 Our first year to particpate in the popular Row by Row event - our slogan reflects our Pony name as well as our love of sewing! Dress up your sewing room or office! Or, a great gift for out-of-state friend! "QUILTS HAPPEN" celebrates cotton, sewing, quilts, and all aspects of quilt-making - most of the tools and "stuff" that go into the making of quilts  "from the field to fabric and finished quilt." The montage contains images from several high-profile collections around the country including the Texas Quilt Museum  LaGrange, TX; National Quilt Museum  Paducah, KY; International Quilt Study Center & Museum  Lincoln, NE; Rocky Mountain Quilt Museum  Golden, CO; The Quilters Hall of Fame  Marion, IN; and others. Quilts Happen appeals to quilters and quilt fans everywhere. This beautiful fine-art print includes photos of the Star of Texas. Printed on heavy gloss paper, this 18"x24" standard poster-sized print is perfect for framing, and includes a legend identifying where each Star lives. Both posters come with a legend for identifying photos included in the montage. Great gift idea - give as a kit or already made up! Great for travel, classes, retreats & workshops! This little book is perfect for cutting, marking and ironing in a small space. Kit includes instructions for assembling, plus cutting mat, canvas boards, batting, sandpaper, tape. You supply the fat quarter and glue for covering the book. Use the "View Cart" button to review your purchases. Use the "Go to Checkout" button to submit your order.